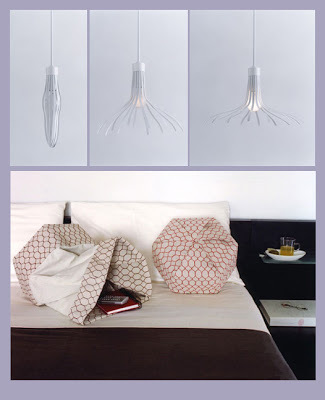 There is something incredibly poetic about Nendo‘s Hanabi lamp shade featured in this months’ Dwell. The lamp “blooms” with the warmth of the bulb. A design is so simple, yet so beautiful; when grouped, as for the 2006 Milan Salone, it is pure art.